Skilled Orland Park cohabitation agreement lawyer. Cohabitation is a common occurrence. More couples in the United States are living together without being married than ever before. Whether living together prior to marriage or simply as a lifestyle choice, couples should protect themselves with a legal agreement. An Orland Park cohabitation agreement lawyer provides guidance and protection in these types of circumstances. The experienced lawyers at Johnson & Johnson, Ltd. are skilled in drafting and executing agreements of this kind. Those who are living together without marriage are not necessarily protected should they choose to end the relationship. The laws provide that the assets of a married couple are considered marital property and are to be divided equitably between spouses should they divorce. However, those laws pertain only to those who are married. Unmarried couples need to protect themselves with help from a skilled Orland Park cohabitation agreement lawyer. Every family has unique needs which should be addressed in this document. 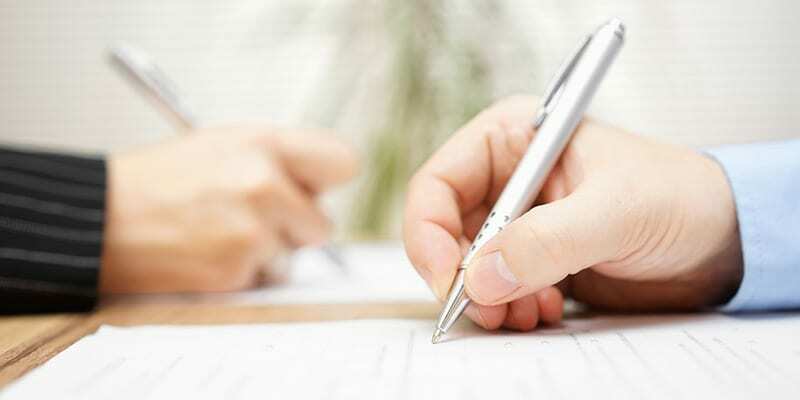 An experienced Orland Park cohabitation agreement lawyer will review your requirements and make sure that your desires and rights are protected. Among the most important aspects of a cohabitation agreement, the topic of children should be properly covered. This is especially critical when one or both parties are not the biological parents of the child. A knowledgable Orland Park cohabitation agreement lawyer understands the complex laws in this area and will draft a document that properly protects your family. How the children will be cared for in the event of separation or a parent’s death is of the utmost importance. It is essential to provide for them in a legal document such as a cohabitation agreement. Unmarried couples very often combine their money and purchase property such as furniture, vehicles, and real estate together. This should be done very cautiously and only when protected with a cohabitation agreement. The cohabitation agreement details how property and assets are to be divided should the couple decide to end the relationship. All too often couples who split up do not have a cohabitation agreement in place. Unfortunately, the law does not provide for unmarried uncoupling and therefore the only way to adequately protect yourself is by putting a cohabitation agreement in place with the help from an Orland Park cohabitation agreement lawyer. Any couple that lives together may implement a cohabitation agreement at any time. While the agreement is primarily thought of for those in relationships, it can also be used for roommates. The agreement may be put into place at any time. Ideally, the best time to execute the document is when the couple first moves in together. It should most definitely be in place prior to the couple combining bank accounts or making large purchases together. When a couple decides to separate one or the other may dispute the cohabitation agreement. The agreement must be properly written and executed in order to be binding. Often, the agreement is silent on some issues, which may need to be resolved after the couple splits up. A skillful Orland Park cohabitation agreement lawyer understands the importance of properly defending your rights and will take the necessary steps to achieve a satisfactory outcome. When deciding to cohabitate, it is a good idea to get advice and input from an experienced Orland Park cohabitation agreement lawyer. Your lawyer will discuss the details of your situation with you and draft a cohabitation agreement that gives you the protection you need both now and for the future. The knowledgeable lawyers at Johnson & Johnson, Ltd. are ready to assist you with all your family law needs, including a cohabitation agreement. Contact us today to schedule a consultation.